That being said, the jar recipes will still continue here. We'll always be exploring new ideas and making delicious meals. Always. That's how we roll! The 90 day weight loss challenge continues! How is everyone doing? Summer is upon us here in the valley-of-the-sun and that's not something I normally associate with a warm soup. However...Rachael Ray makes this really delicious stuffed cabbage soup that I could eat all year round. I love it so much that I wanted to convert it to a shelf stable meal in a jar that I could have and make anytime and also make it a little more healthy and low fat.These will be shelf-stable up to 15 years! I made 24 meals in 30 minutes (eat your heart out Rachael). I also wanted it to be full of low-impact carbohydrates from vegetables instead of white rice. This is low-fat, grain-free, gluten-free, and simple! Summer is not usually the time I think of making soup. Cabbage soup however is another story. I heat it up just a bit on the stove and I'm good to go! I eat it a lot when I want to be healthy and lose weight. Make up a full jar, it will make 12 cups of soup. One 2 1/2 cup serving is packed with flavor and will really satisfy you. Not to mention, it is right at 202 calories! How To Make Homemade Mylar-Packed 52 Method Convenience Meals! To prepare Soup: Remove oxygen absorber and discard. Pour jar contents into a gallon sized pot. Add 10 cups water and simmer medium high 7-10 minutes until vegetables are hydrated and tender. Yields 12 cups soup. Each quart sized jar will yield 5 servings prepared soup. There you go my darlings! Easy and delicious soup that will help you lose weight and keep you feeling full! Win!! 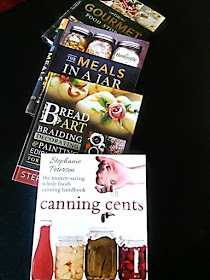 Thanks so much for the latest low carb In A Jar recipes! We love them and hope to see more soon. What size oxygen absorber did you use in the jars to make this dish?